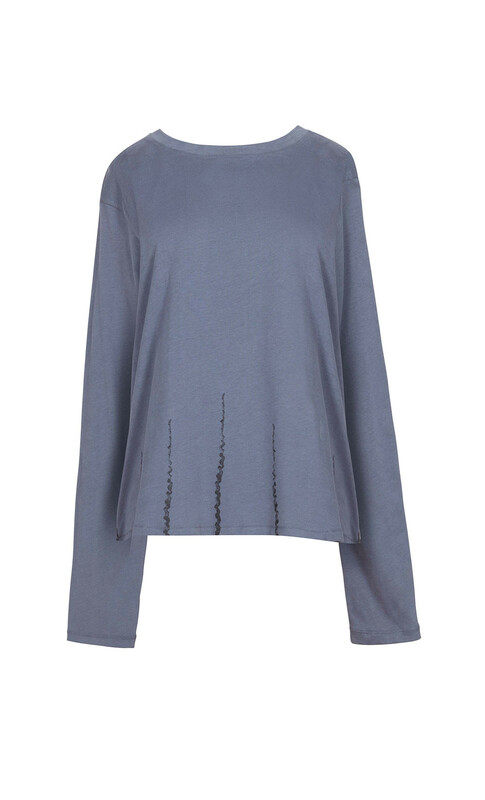 DORIN FRANKFURT's concrete-grey T-shirt was crafted with lazy weekends in mind. It's cut from a soft cotton with slightly dropped shoulders and a loose fit. With a striped inspired print this piece is a elevated basic must have.